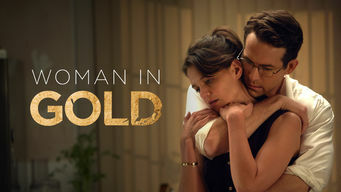 How to watch Woman in Gold (2015) on Netflix Netherlands! Sorry, Woman in Gold is not available on Dutch Netflix, but you can unlock it right now in the Netherlands and start watching! With a few simple steps you can change your Netflix region to a country like Egypt and start watching Egyptian Netflix, which includes Woman in Gold. We'll keep checking Netflix Netherlands for Woman in Gold, and this page will be updated with any changes. Woman in Gold is not available in Netherlands BUT it can be unlocked and viewed! Six decades after the Holocaust, Maria Altmann embarks on a quest to reclaim her family's Nazi-stolen artwork, including a famed Gustav Klimt piece. Nazis killed her loved ones and stole her family's prized artwork. Sixty years later, she wants only one thing back. There is a way to watch Woman in Gold in the Netherlands, even though it isn't currently available on Netflix locally. What you need is a system that lets you change your Netflix country. With a few simple steps you can be watching Woman in Gold and thousands of other titles!